The Benzinga Global Fintech Awards are a yearly showcase of the greatest advents in fintech from leaders and visionaries in the worlds of finance and technology. This year, we have executives, developers and innovators from the likes of Facebook, Amazon, IBM, JP Morgan, Zelle, TD Ameritrade, TradeStation, Fidelity, and so many more. In preparation for its biggest installment yet this May, we’re profiling the companies competing for the BZ Awards. In this feature we focus in on Tuition.io. Scott Simmons, CFO and COO: Tuition.io is the nation’s leading student debt assistance platform, enabling businesses of all sizes to help reduce their employees’ student loans. Tuition.io empowers employers to attract and retain talent who are saddled with stifling student debt by helping them pay it down. More than 44M Americans currently hold a total of $1.4T in outstanding student loan debt and that number is growing at a rate of $2,726 per second. On average, 70 percent of graduates are coming out of school with $37k in student loans and takes them 20 years to pay back. Student loan repayment assistance is a benefit that’s applicable across the board to various industries and companies, especially any company that utilizes the millennial workforce. Millennials currently make up the largest cohort of the U.S. workforce. Never before has such a large percentage of the workforce been burdened with levels of debt from their education, which has a direct impasct on their ability to pay their bills, save for retirement, and stay in the jobs they love. Simmons: Tuition.io works with companies of all sizes, from Fortune 500 companies such as Live Nation, Estée Lauder Companies, Fidelity Investments, Coupa and Staples, to hospitals, banks, startups and public entities such as the City of Memphis. It’s truly industry agnostic. Tuition.io is on a mission to provide an impactful solution for employers and employees across the country. Simmons: Tuition.io was founded in 2011 and launched as a consumer-facing platform in 2013. We pivoted to the current B2B model in 2015. Simmons: We are headquartered in Santa Monica, CA and have an office in San Mateo, CA. Who is your company’s leadership? What kind of experience do they have? Simmons: Our CEO Scott Thompson joined Tuition.io in 2016 after serving on the company’s board. Scott’s mission at Tuition.io is to make student loan repayment an employee benefit that is as widely adopted as the 401(k). Under Scott’s leadership, Tuition.io experienced over 100 percent YOY growth in 2017. Scott has also been at the forefront of efforts to pass federal legislation to amend the tax code making employer contributions tax free. Scott joined Tuition.io from ShopRunner where he served as CEO and led the company’s rapid retail and member network expansion over the last four years. Prior to ShopRunner, Scott was CEO of Yahoo. Before that, he served as President of Paypal Holdings Inc PYPL 0.65% during its most rapid growth period. During his tenure, he helped grow revenues from $1 billion to $4.4 billion and established PayPal as the leading global online payment service. Previously, Scott held executive positions with Inovant (a subsidiary of Visa), Barclays Global Investors and Coopers & Lybrand. Simmons: Our investors include Wildcat Venture Partners, Mohr Davidow Ventures and MassMutual Ventures LLC, the corporate venture capital arm of Massachusetts Mutual Life Insurance Company. Simmons: Tuition.io recently raised $7 million in Series B funding to fuel growth and market expansion. To meet with the minds behind companies like Tuition.io and others testing the cutting edge of fintech, grab a ticket to the Benzinga Global Fintech Awards May 15-16 in New York. This article was originally published on Benzinga by Chris Dier-Scalise, Benzinga Staff Writer. In preparation for its biggest installment yet this May, we’re profiling the companies competing for the BZ Awards. In this feature we focus in on Zazu. Perseus Mlambo, Founder & CEO: The number of unbanked adults in Sub-Saharan Africa is 350 million, and in Zambia, only 24.8 percent of adults have or use commercial banks. The value of mobile money transactions in Sub Saharan Africa surged to $656m in 2014 and could more than double to $1.3bn by 2019. As more people from Sub Saharan Africa come online, they will be looking for new ways to move money, bank, and access financial services. Zazu is developing a prepaid card with a companion app to offer a real-time log of a consumer’s spending & control on the card’s usage. Zazu has also developed a chatbot accessible via USSD and voice channels, to teach low income households about financial literacy. This chatbot, has been developed alongside Financial Sector Deepening Zambia (FSDZ), funded by the UK Department for International Development. Mlambo: Our aim is to deliver integral financial services to an increasingly growing (size and sophistication) base. In order to capitalise on this growth, we are building Zazu to provide the payment ‘rails’ on which a broad range of financial services can be delivered cheaply and conveniently to all. We see comparables as DfID funded MPesa who continue to be the poster child for mobile money around the world. Similarly, Monzo in Europe have demonstrated that a well developed challenger bank with customer centricity at its heart can succeed. Founder & CEO – Perseus Mlambo, previously worked at Barclays Estates & Trusts and UN High Commissioner for Refugees. We are developing a helpful company, making finance fun and putting Africa on the map. We recently got named one of the top 50 digital banks in the world by Financial It Magazine. To meet with the minds behind companies like Zazu and others testing the cutting edge of fintech, grab a ticket to the Benzinga Global Fintech Awards May 15-16 in New York. In preparation for its biggest installment yet this May, we’re profiling the companies competing for the BZ Awards. In this feature we focus in on Cashaa. Janina Lowisz, VP Marketing Cashaa: Despite the existence of new technologies like blockchain, 3.5 billion people are still unbanked and underbanked and left with outdated, expensive services which are charging the poorest the most, giving higher exchange rates and are slow, full of intermediaries, bureaucracy and extensive paperwork. Cashaa is building a better bank, challenging legacy banking by building an app and products with input from our community of users. Our blockchain based platform enables its community to store, save, spend, receive, borrow and get insured, with a simplified user experience in a legally compliant way. Ultimately, Cashaa aims to become a one-stop-shop for financial needs. We bring you our wallet, with tokenized cards powered by CAS tokens. They will also allow users to access and pay through any smart device. Together with Master Card Service Provider we have built the world’s first wallet that enables our user to store or transfer money to any card in the world. The sender and the receiver transact in their respective local currencies and needs no awareness of cryptocurrencies or blockchain technology. Money in the Cashaa wallet will move faster and easier than cryptocurrencies, receiver will be able to get the money within 30 minutes in their local currency deposited to any MasterCard, as well as bank account or wallet in the world in our network. Lowisz: We are targeting personal consumers such as immigrants, average bank users, international students and travellers, as well as business consumers: Fintech companies with innovative ideas can use us as platform, such as for lending, bill payments, e-commerce, crowdfunding, startups, ICO launching card based solutions, media companies, businesses with multiple vendor payouts etc. Lowisz: Cashaa was founded in June 2016. Lowisz: We are registered in Estonia, with offices in London and shortly in Mumbai. Lowisz: Our team is comprised of some of the best, brightest and most passionate people in the industry sharing the same vision. Our team has more than 200+ Years of Payments and banking experience and includes executives from Fortune 100 technology companies, central bank and top academic institutions. More information can be found here. Lowisz: Our investors include 2F Capital and Celestial Digital Ventures. Instead of looking for further investors, we decided to conduct a token sale, in which we received 33 million USD in 2017, out of which 14 Million was rejected due to strict AML and KYC policy setup by us. Lowisz: Cashaa will use Auxesis Group`s Auxledger, one of the world`s largest private blockchain networks, which has already 53 Million users resulting from a State Government partnership. To meet with the minds behind companies like Cashaa and others testing the cutting edge of fintech, grab a ticket to the Benzinga Global Fintech Awards May 15-16 in New York. In preparation for its biggest installment yet this May, we’re profiling the companies competing for the BZ Awards. In this feature we focus in on Neighborly. Garrett Brinker, product manager: Neighborly is a mission-driven fintech firm that operates at the intersection of government, technology and municipal finance. We believe that the humble municipal bond is the original impact investment, and we’re committed to reducing the cost and complexity associated with this largely fragmented and often misunderstood market – which has long been dominated by large institutional investors. Through innovative technology, competitive fee structure and lower denominations, we have created a way to directly connect fiscally responsible issuers with investors who want to generate returns while effecting positive change in the communities where they live, work and play. Neighborly Securities: Our muni broker-dealer, which uses technology to democratize access to impactful public infrastructure projects: from public parks and playgrounds, to municipal broadband or green energy projects. Though Neighborly Securities also serves the advisory community, it has gained enormous traction serving individual investors – in our inaugural (and award-winning) Cambridge minibond offering, 37 percent of participants were first-time bond buyers. The opportunity to invest in meaningful projects in their own backyard resonated strongly with city residents, and continues to do so in municipalities across the country. Neighborly Investments: Our next-generation technology investment manager focuses on leveraging municipal bonds to maximize after-tax returns through customized impact portfolios. Neighborly Investments predominantly serves: high-net-worth investors who wish to leverage their muni bond allocations to maximal impact; larger RIAs; and institutional investors such as community banks and university endowments that wish to meet CRA Credit requirements, and foster engagement with their local communities. Brinker: Neighborly was founded in 2012. Brinker: Neighborly is headquartered in San Francisco, with strategically located offices in New York City and Boston. We consider ourselves to be an integral part of their respective tech, finance and investment communities. Brinker: Jase Wilson is CEO and founder of Neighborly, combining expertise in technology, urban planning and entrepreneurship. Prior to Neighborly, Jase founded and operated Luminopolis, a civic software firm focused on saving local governments millions of dollars annually by replacing legacy enterprise software with modern open source equivalents. A keen technologist and urbanist, he studied city planning at MIT and the University of Missouri-Kansas City. Kiran Jain is the chief operating officer and general counsel at Neighborly. She is the former Chief Resilience Officer for the City of Oakland, one of the inaugural cities in the Rockefeller Foundation’s 100 Resilient Cities network. Kiran has served as a senior deputy city attorney focusing on land use, urban redevelopment and municipal governance; she also founded the Civic Design Lab to focus on building community resilience. Neighborly’s broader team harbors decades of combined expertise across the fields of public finance, civic issues and technology. Brinker: We are a diverse team with backgrounds in technology, capital markets and government — all on a mission to help build stronger and more resilient cities through the municipal bond. To meet with the minds behind companies like Neighborly and others testing the cutting edge of fintech, grab a ticket to the Benzinga Global Fintech Awards May 15-16 in New York. The Benzinga Global Fintech Awards are a yearly showcase of the best and brightest in fintech. In preparation for its biggest installment yet in May 2018, we’re profiling the companies competing for the BZ Awards. Our next feature is on Assure Hedge. Carrick: Any business that trades internationally and banks or FX providers who don’t have their own FX hedging solution. Carrick: ​The company was founded in 2016 with our fully regulated launch taking place in mid-March. Carrick: ​Dublin, Ireland with an office in London. Carrick: ​Our investors consist of a high net worth individual, a government led VC and an accelerator programme. We are in the due diligence stage with a VC fund and a private equity entity. To check out companies like Assure Hedge for yourself, grab a ticket to the Benzinga Global Fintech Awards May 15-16 in New York. This article was originally published on Benzinga by Spencer White, Event Content Producer at Benzinga Events. Our next feature is on InsureVite. We are building a platform that streamlines all administrative processes in the insurance industry, returning ownership of insurance back to customers. We are transforming the way insurers engage with customers, transforming the way agents go about their administration and the way customers look at insurance. David Yeng – CEO. Ten years experience in Sales & Marketing. Notably helped first startup (my own language school hit 400 percent increase in revenue within one year. Batbayar Ragchaa – CTO. Twenty-two years experience in Systems Development. Former Deputy CEO of Development Bank of Mongolia, Former IT Systems Analyst at UBS New York, former IT lecturer at National University of Mongolia. We have secured 4 MOUs and validation from 100s of agents. We are also in talks with some large multinational insurers. To check out companies like InsureVite for yourself, grab a ticket to the Benzinga Global Fintech Awards May 15-16 in New York. Our next feature is on Yoti. Robin Tombs, CEO & co-founder: Yoti is your digital identity app and your ID on your phone. It gives you a simpler, faster and safer way of proving your identity, both online and in person. You only need to create your account once but you can then use it in many different ways: to prove your age on nights out and when buying age restricted items at supermarket self-checkouts, to prove your identity to businesses without showing or photocopying paper ID documents, and to confirm the identity details of people you meet online. It can also be used to securely log into websites. The free app is available on Apple and Android phones and each account takes less than five minutes to set up. You take a selfie and scan your ID document with your smartphone, which is then transformed into a digital identity. Every account is securely built and verified around a government issued passport or driving license and personal biometrics. Yoti solves the day to day annoyances such as lost ID and forgotten passwords, as well as the bigger issues such as fraud, online scams and identity theft. Our solution can help millions of people and businesses around the world, and make a real difference at tackling global issues which cost the economy billions of pounds every year. Tombs: We recently launched Yoti in Bournemouth where a number of businesses and venues are accepting Yoti as proof of ID — including nightclubs Cameo, Halo, Truth, Yates and Walkabout. Local tattoo parlours are also using Yoti to ensure their customers are 18+. We have partnered with Deltic, the UK’s largest nightclub chain with 57 venues across the country. Deltic own Cameo in Bournemouth and are rolling Yoti out to their other venues throughout the UK, giving their customers a safer way to prove their age on nights out. They’re using Yoti to address age verification issues around physical IDs and fraudulent activity around event tickets, and have a more efficient way to control and decline underage admittances. Sellers on Freeads can use Yoti to verify their personal details to receive a Trusted Member badge on their profile. This gives buyers more confidence that the seller is genuine which, in turn, creates more trust between buyers and sellers online. We’re also working with NSPCC to give young people a simple and secure way to prove they are under 18 online, and we’re gearing up for pilots with two of the UK’s largest supermarkets. Tombs: Yoti was founded in 2014 and we officially launched in November 2017. Since then we’ve had over 500,000 installs, a successful equity funding round which valued the company at £65m, and we’ve just launched in India. It’s been a busy few months and we’re excited to see what the rest of the year has in store. Tombs: We’re based in London with another office in Mumbai. Tombs: Through my work at Gamesys, I’ve been involved in checking the age and identity for over 1.5m UK customers in compliance with UK regulations. Duncan’s work in event management means he’s experienced identity verification at large scale events where ID needs to be checked quickly and efficiently. In 2014, Duncan and I were at a Spartan race where 10,000 people queuing to register with their passport or driving licence. The process was long, outdated and a potential security risk, with people leaving valuable ID documents in a tent during the race. We said there must be a better way for people to prove their identity. With the advances of biometrics and smartphones we’ve been able to develop a digital identity solution that can be used both online and in person, giving individuals an easier and safer way of proving their identity. Tombs: Yoti is privately funded. To date myself and Noel have invested £25m. Tombs: We’re on a mission to become the world’s trusted identity platform. We hope Yoti will help millions of people and businesses around the world, giving them a simpler and more secure way of proving and checking identities. To check out companies like Yoti for yourself, grab a ticket to the Benzinga Global Fintech Awards May 15-16 in New York. Our next feature is on iComply. Matthew Unger, CEO and Founder: iComply Investor Services (as known as iComplyICO) is a RegTech platform for ICO/Token compliance that automates legal and assurance processes and enables compliant issuance and lawful secondary trading of regulated digital assets. iComplyICO is the world’s only offering for both primary and secondary trading compliance solutions for ICOs, differentiating itself from other related services by acting primarily as an information-tracking ecosystem. This “prefacto” compliance protocol can screen and restrict non-compliant transactions while enabling all ICO market stakeholders to collaborate in the compliant creation and maintenance of ICOs. Unger: Small and medium-sized enterprises. Our first customer was a Canadian real-estate developer. For our next 200+ customers, 80 percent come from traditional companies in manufacturing, real estate, mining, and information services; 20 percent are high-speculation tech companies. iComplyICO is also developing partnerships with hundreds of accountants, lawyers, regulators, compliance officers, assurance personnel, and ICO consultants worldwide. Unger: I came up with the concept for iComplyICO at an MIT FinTech course in early 2016; the company was founded September 11, 2017. Unger: We are located in Vancouver, BC, Canada. Unger: You can find profiles of all our team members (and advisors) on our website. Unger: Praveen Mandal, MIT Fellow, Conrad Whelan, original developer/founder of Uber. Unger: We’ve been featured on Bloomberg Law, Forbes, BetaKit, CryptoInsider, Business in Vancouver, and a host of other publications. Our ‘Prefacto Compliance Protocol’ is the world’s first and only offering for both primary and secondary trading compliance solutions for ICOs. We released our alpha product in early February, and our beta product is scheduled for release in Q2 of 2018. To check out companies like iComply for yourself, grab a ticket to the Benzinga Global Fintech Awards May 15-16 in New York. Our next feature is on Assetbase.io. Anthony Conrad, head of external relations: Assetbase is an exchange, developed by an independent foundation, to allow users to tokenize real assets and then trade them or even redeem later at their request in a timely manner. This solves a number of issues: First, this allows lower barriers to entry by investors who wish to have the financial security of assets (precious metals, real estate, timber rights, etc. ), but with the liquidity and physical security that comes with cryptocurrencies and intelligent contracts. This allows technology to bring the law of regulation and trade up to speed with blockchain and ensure that anyone around the world can have financial security and stability. Conrad: Our customers are grouped into three categories: 1) Young adults who are not saving, but are concerned with their financial future and not seeking traditional services (Credit cards, Mortgages, CDs, Stocks, Mutual Funds) or to diversify into asset based investments, but have no clue how to start. 2) Cryptocurrency fans, especially those in countries where normal financial services are limited or security is an issue, but are spooked by recent price fluctuations. 3) Traditional asset based investors who are looking for greater liquidity combined with the same security they know from being able to have the asset physically, as opposed to ETFs or other “backed” investments. Conrad: We have been in business since 2017. Conrad: The team is spread around the world, working remotely to make this happen, but the base of operations for the Assetbase Foundation is in Saint Kitts & Nevis. A serial entrepreneur, Corey believes in the motto, “Talk doesn’t cook rice”. Corey joined AssetBase with the condition that you don’t raise money on an idea alone, but rather, a working model. AssetBase, under his leadership, built the working model, and has asset coins vaulted, verified, and ready to release. Moving forward, he believes AssetBase will continue to overachieve expectations — under sell and over deliver! Amber holds a BBA in Trust & Wealth Management from Campbell University. Following graduation, she spent five years climbing the corporate ladder in the Wealth Management division at one of the nation’s largest banks. Today, she leverages her financial background to bring awareness and enthusiasm to the cryptocurrency space. Born and raised in the US, Anthony has migrated to South America and has lead the way into the crypto world. Utilizing a basis in economics and business philosophy from his time at Campbell University, Anthony has founded and exited numerous ventures and currently is developing solutions in Regtech, Fintech, and Insurtech with his work as CEO of Hola Luka and partner at Minka Inc. Speaking regularly in both new and old media, Anthony also lectures on the topics of cryto-currencies, blockchain applications, and digital identity. Tomislav is an entrepreneur and experienced chief officer with a demonstrated history in software industry. Strong information technology professional skilled in Software Development, Business Planning, Innovation Management, Blockchain and E-learning. Co-founder of knowledge solutions provider company Cognita since 2004. Since 2016. heavily involved in blockchain technology, smart contracts and a fintech movemet. Proficient in Bitcoin, Ethereum and blockchain architecture and software development. Currently positioned as a lead technology officer for LatAm fintech company Minka working on a Banking-as-a-Service platform built as an Open API. Investment Banking, Risk and Compliance, Wealth Management >and Trading and Securities. She developed a passion for emerging technology such as block-chain, crypto, cyber security, AI, and Machine learning. Along with her legal studies, Anna had the opportunity of understanding the challenges of regulation in the banking and Fintech space and is now using her wealth of knowledge to help bring awareness of solutions that can solve these issues. As a legal advisor and an asset to our company, she will be giving our firm transparency by providing legal feedback and suggestions to our team. Conrad: With the exception of the current ICO fundraiser, Assetbase has been bootstrapped from the beginning. We pride ourselves in building a great product and want to use investment for growth, not for getting started. Conrad: We currently are offering 5 precious metal redeemable tokens at Assetbase.store as well as our PDT tokens which are used for governance of the foundation, allowing anyone to have a say in the organization if they own 10000 PDTs or enjoy the profit sharing that PDT holders gain from transactions of the tokens themselves. To check out companies like Assetbase.io for yourself, grab a ticket to the Benzinga Global Fintech Awards May 15-16 in New York. A limited number of early-bird tickets to the event remain, so be sure to grab yours here. Best Alternative Investments Platform Rally Rd. Best Analysis or Research Platform Elsen, Inc.
Best Biometrics Tool or Cyber Security Platform Crypta Labs LTD.
Best Customer Engagement Tool or Campaign SwipeSum, Inc.
Best Educational or Personal Finance Platform Questis, Inc.
Best Forex Platform Fortex, Inc.
Best InsurTech Solution Lumity, Inc.
Best Lending Platform Credibility Capital Inc.
Best Procurement or Supply Chain Solution Accrualify, Inc.
Best Procurement or Supply Chain Solution Candex, Inc.
Best RegTech Solution iComply Investor Services Inc.
Best Under-banked or Emerging Market Solution Self Lender, Inc.
Best Use of Blockchain BTL Group Ltd. Investing in Millennials Tripcents, Inc. Leveling the Playing Field StockTwits, Inc. Solving Problems Through Payments Karmic Labs, Inc. Solving Problems Through Payments One, Inc. In preparation for its biggest installment yet this May, we’re profiling the companies competing for the BZ Awards. 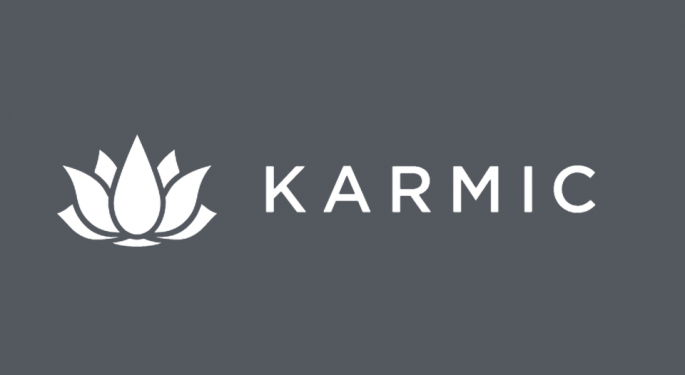 In this feature we focus in on Karmic Labs. Every year, businesses lose countless hours to the process of expense management, costing as much as $2,000 per employee in lost productivity. Karmic is dedicated to solving problems Through payments by blending traditional corporate cards and modern applications to improve cash flow management and simplify the expense reconciliation process. With reliable solutions that power straightforward, state-of-the-art financial applications, we deliver convenience, easy enrollment, instant payment records, and superior expense management capabilities through real-time mobile experiences. A “Powered by Karmic” solution gives businesses the power to save time and money. Karmic has unique product offerings to support businesses of all sizes and stages of development. Our flagship product, dash, provides small-to-midsize companies with simple and flexible payments and expense management tools at no cost. For companies in need of something uniquely tailored to their brand, or an even higher degree of control, Karmic also offers co-branded cards and fully customized card programs for larger enterprises. Marquee applications of Karmic’s white-labeled enterprise solutions include programs for the business customers of financial institutions, and a custom offering for the Pro customers of a major home improvement retailer. Karmic is presently in its fifth year of operations. Karmic is headquartered in San Francisco, California. We also have an office in Toronto, Ontario, a significant presence in Austin, Texas, and remote employees in several parts of the U.S. The willingness and flexibility to hire the best talent, regardless of their physical location, is one of our greatest strengths. Karmic boasts the deep domain expertise required to fuel a high growth company. Our Senior Leadership Team includes members who have come to us from tech leaders like Netscape, Google [Alphabet Inc. GOOG 1.23% GOOGL 1.25%], and Dropbox, as well as financial industry experts from Mastercard, American Express Company AXP 0.86%, Citibank Inc. C 1.04%, and FIS. Please visit the “About” page on our website for Executive Bios. We are fortunate to have the opportunity to work with experienced entrepreneurs and investors. Presently, we benefit from investment and advice of several institutional investment firms, including Alsop Louie Partners, Arbor Ventures, Greycroft, Marketplace Funds, and Startup Capital Ventures. Please visit the “About” page on our website for a complete list. Karmic is pleased to have the opportunity to vie for the distinguished “Solving Problems Through Payments” award, and we are proud to take our place among your distinguished nominees. To meet with the minds behind companies like Karmic Labs and others testing the cutting edge of fintech, grab a ticket to the Benzinga Global Fintech Awards May 15-16 in New York. In preparation for its biggest installment yet this May, we’re profiling the companies competing for the BZ Awards. In this feature we focus in on Elsen. Elsen provides technology that allows large financial institutions to quickly build and deploy web-based applications that make it easy for anyone to harness, understand and make quick decisions with vast quantities of financial data. It allows any financial professional – including people in investment, research and analytics roles — to transform the way they work by letting them use data to guide investment decisions without having to rely on teams of expert programers. Sheffer: We work mostly with large financial institutions. Some of them use our technology, the Elsen nPlatform, to build applications for their own employees, while others use it to develop products that they can sell commercially. The most notable impact of our technology to date is through a partnership with Thomson Reuters, which falls into the latter category. Thomson Reuters QA Point Powered by Elsen is a web-based application for backtesting systematic investment models that allows professional investors to introduce cutting edge quantitative research and analytics to fund management. This type of analysis would traditionally take hours or days of work with expert programmers. But with QA Point Powered by Elsen, it’s something that any professional investor can accomplish in minutes. Sheffer: I founded Elsen in 2014 with a couple friends from Northeastern University. We began developing the idea at the school’s student-run venture accelerator, IDEA, after I did a stint at one of the world’s largest investment banks and saw just how outdated the industry-standard technology was. It was shocking to see that the technology we were using in school was often more advanced than what these industry-leading companies were using, so we seized the opportunity to do something about it. Sheffer: We’re based in Boston, and the city’s strong heritage in both finance and technology was a great asset to getting Elsen off the ground. One of the most important relationships we developed was with a nonprofit called the FinTech Sandbox. It’s an organization that was founded by leaders in the local financial services and venture capital community to promote financial technology innovation by providing free-access to critical data and resources. In 2015, Elsen was selected as a member of the inaugural class of FinTech Sandbox, which helped open a number of other doors, including our relationship with Thomson Reuters. Sheffer: I’m a mechanical engineer by training, but I got the finance bug early on. And after working at an investment bank for a while, I knew it was for me. Bringing my love of technology and finance together is the perfect combination. One of my other co-founders, Ryan Johnson, led user interface and user experience design for both early-stage startups and large international companies. His experience has been key to our overall mission because he’s been able to help put an intuitive interface on top of our sophisticated technology so anyone can use it. To fill-in our team, we’ve brought other experienced executives on board like Jim Comstock, who’s been at Dell/EMC, NetApp and Sun Microsystems, and Jane Hood, who’s been CMO at a several fintech startups after working at MasterCard and American Express for a number of years. We also have some great investors guiding us too, like Jack Klinck who became chairman of our board after leading a recent investment. Jack previously founded State Street Global Exchange and was CEO of BNY Mellon’s European operations. Sheffer: We’re backed by a combination of venture capital and hand-picked angel investors from the startup and financial community including Accomplice, Boston Syndicates (BOSS), Hyperplane Venture Capital, Launch Capital, Sequoia Strategic Advisors, and Bret Siarkowski. Sheffer: Elsen’s platform-as-a-service, called nPlatform, is fundamentally different than anything on the market. Creating custom applications that allow investment, research and analytics professionals to quickly and easily work with massive amounts of data currently requires expensive infrastructure, teams of professionals to manage it, and extended periods of time to build applications on top of it. Financial institutions are still left with tools that require expert users and hours or days to analyze data. With Elsen nPlatform, institutions can quickly build and deploy intuitive, point-and-click applications that anyone can use to enhance and transform traditional investment workflows, strategies and results. And they can do it without the investment and ongoing maintenance of expensive infrastructure, or the expertise required to cleanse and manage data. With major validation of our technology through the Thomson Reuters partnership, a fresh round of funding and an experience team behind us, Elsen’s in a great position to help financial institutions get fantastic insights from vast amounts of data. To meet with the minds behind companies like Elsen and others testing the cutting edge of fintech, grab a ticket to the Benzinga Global Fintech Awards May 15-16 in New York. Vinod Parmar, Global Head of Sales & Marketing: One of the major challenges faced by businesses today is inadequate access to working capital. Traditional trade financing is not only expensive but hugely paper and time intensive. Vayana Network enables Enterprises and their Supply chains easy, digital and quick access to Short Term Trade Finance (STTF), at lower than market rates. Banks and traditional lenders focus only on large corporates and the top-tier of the Supply Chain network. Vayana Network digitally connects Buyers and Sellers for seamless exchange of documents and acceptances, thus allowing automated financing of the trade. Enterprises on our Network see minimal documentation, no changes to processes and no investment in technology. Enterprises are onboarded in a matter of minutes and get access to funds with automated reconciliation from payment to invoice. Parmar: The company was founded by RN Iyer, a serial entrepreneur, who is the CEO of the company. He founded Vayana with a vision to make a positive impact on the economy by democratizing the access to low-cost financing to every enterprise. He was also the co-founder and CEO of CashTech Solutions, a leading Cash Management vendor in Asia, which was acquired by Nasdaq listed Fundtech. Iyer has previously worked with Accenture. He is a management graduate from Indian Institute of Management, Ahmedabad and an Engineer from Mumbai University. Parmar: IDG Ventures, Jungle Ventures and other institutional investors. Parmar: Vayana Network has till date enabled USD 800+ million in financing and today covers over 15 different industries, from Manufacturing to Ecommerce. Our Network is present in 11 countries, and is active in 25 states in India and 12 states in the United States. We are PCI DSS and ISO 27001:2013 compliant. We are the winners of the PYMNTS GOLD award for Credit Innovation given by PYMNTS.com 2015, USA. In India, Vayana Network also offers end-to-end services to Corporates and SMEs to meet their Goods and Services Tax (GST) and E-Way bill compliance needs and is one of the Government authorized GST Suvidha Providers (GSP) in the country. Vayana GSP serves over 500 large corporates and some of the largest financial institutions/banks, in addition to other third-party Application Service Providers (ASPs) that have over 150,000 SMEs routing their API traffic through us. To meet with the minds behind companies like Vayana Network and others testing the cutting edge of fintech, grab a ticket to the Benzinga Global Fintech Awards May 15-16 in New York. In preparation for its biggest installment yet this May, we’re profiling the companies competing for the BZ Awards. In this feature we focus in on SecFi. We help employees understand what they have and help them get the financing for exercising. Our customers are employees, shareholders and founders of late-stage private companies such as Uber, Pinterest, Lyft, Airbnb, etc. For just over one year now. Our main office is in San Francisco but a substantial portion of our technology is developed where I am from, Amsterdam (The Netherlands). Wouter Witvoet, Founder and CEO, SecFi – Wouter is the Founder and CEO of SecFi, which he founded after being frustrated with the process of exercising his options in his former role at a private company. He’s an experienced advisor with over $100M in institutional transactions to date. Before SecFi, he was the Chief of Staff and Head of Asia at Karhoo, responsible for much of its fundraising and managing a team of 30 people. Frederik Mijnhardt, COO, SecFi – Frederik has over a decade of experience in corporate strategy, private equity, corporate development and M&A advising on projects and transactions ranging from $25MM to $2500MM. Frederik has worked at SecFi, Karhoo and Accenture Corporate Strategy arm, boutique advisory firms and several startups. Social Leverage led our seed round of $1M. FJ Labs and CoVenture also invested. To meet with the minds behind companies like SecFi and others testing the cutting edge of fintech, grab a ticket to the Benzinga Global Fintech Awards May 15-16 in New York. For the second year in a row Benzinga is proud to host the Benzinga Fintech Awards, dedicated to recognizing the leading companies in the world of fintech. Ahead of the May 24 gala, meet the innovative companies that will be there. SeedFeed, a crowdfunding real estate investing platform. To consolidate crowdfunded real estate. It’s the fastest growing crowdfunding industry, with over 200 platforms now sourcing deals. These deals are siloed across hundreds of platforms. SeedFeed puts all these investments in one place. They have over 400 deals from various platforms, coupled with third party data to help users make their next real estate investment. Showing investors that crowdfunded real estate is a great alternative investment, and finding your next real estate investment has never been so easy. Sign up for a free account with SeedFeed at their website, or connect with them on Twitter. For more information on the 2016 Benzinga Fintech Awards, submitting your company, sponsoring, or attending, go here. Want to get your company in front of the best and brightest in fintech? Check out the 2016 Benzinga Fintech Awards, the industry’s premier awards show and networking gala. Become a sponsor or get your early bird tickets today! Benzinga Fintech Award nominee Call Levels has announced pre-Series A funding from Indonesian conglomerate Lippo Group. The undisclosed amount from Lippo comes on the heels of $500,000 pre-Series A fundraising received from Silicon Valley’s 500 Startups in November, as well as investments from angels Timothy Teo and Koh Boon Hwee. Call Levels provides financial monitoring and notification services optimized for the mobile cloud. Clients can receive instant notifications on their mobile devices as soon as any of a number of assets reaches a pre-selected price. Call Levels has been experiencing rapid growth in recent months. According to the company, user growth has surged 400 percent in the last three months alone, and clients now set an average of 11 new alerts each second. “With these new funds, we hope to expand our asset coverage to other financial markets, to support our users within the Asian region and beyond,” Call Levels cofounder Cynthia Siantar says. She said that reliable, instant notifications are particularly important in volatile, unpredictable markets like the ones investors have seen so far in 2016. The app already covers more than 10,000 assets. Fintech startup Stash has announced the completion of a new $3 million fundraising round involving a handful of new investors, as well as additional contributions from previous investors. The new round of seed funding was led by Goodwater Capital, which specializes in early-stage consumer technology companies. Other investors include Valar Ventures and Entrée Capital. Benzinga had the chance to speak with Stash CEO and co-founder David Ronick about what the new round of funding means for the company and what big plans Stash has for the future. According to Ronick, the $3 million will have a major impact on the investment app’s future, not only in terms of capital, but in terms of reputation. “We’re doing whatever we can to build trust and credibility, so it’s important for us to have solid institutional investors behind us to show our customers and potential employees and business partners. It’s also important to have expertise around the table in consumer mobile and in FinTech and also, of course, to have the capital to help us accelerate growth,” Ronick told Benzinga. As far as immediate goals, he explained that Stash is anticipating a major market expansion in 2016. “One of the things that’s held us back is that we were only on the iTunes platform, but next month we will roll-out on Android, so that could open up Stash to a whole new group of people,” Ronick explained. He added that the new funding will also help Stash continue to invest in improving the user experience and expanding the app’s investment advice and support content. Stash has shown impressive growth numbers in a crowded market since its October 2015 launch, and Ronick attributes Stash’s early success to its balanced approach to investing advice. Stash provides enough guidance so as not to leave customers in the dark while also encouraging clients to follow their own investment intuition and beliefs. Stash’s app is aimed at making investing easy for inexperienced Millennial investors. Stash investors can start investing for as little as $5 by buying fractional shares of Stash’s select themed ETFs such as “Internet Titans” (First Trust DJ Internet Index Fund (ETF) FDN 0.19% and “Clean and Green” (iShares S&P Global Clean Energy Index Fd ICLN 0.23%). Stash doesn’t charge commission on trades, instead charging subscribers a flat $1 per month fee for accounts under $5,000 and 0.25% per year for balances greater than $5,000. The second annual Benzinga Fintech Awards is coming to New York City on May 24. In anticipation of the premier gala for financial technology, we’re introducing you to the companies that will be in attendance. For more information on submitting your company, voting for the finalists, or attending the event, click here. In the inaugural edition of this series, Benzinga presents crowdfunding service KoreConX. Benzinga: Why did you start KoreConX? Oscar Jofre, President and CEO of KoreConX: I’m an entrepreneur to the core. I want to build something that changes everything, and makes the industry as a whole better. My co-founder and I saw a need in the market, and knew that the time was right for fintech, and that with equity crowdfunding beginning to gain momentum, how companies raised money and managed their shareholders had to change. Benzinga: What do you think makes your offering unique in the fintech space? Do you have any close competition? Oscar Jofre: There’s never been another product that ties the entire ecosystem together like we do, or that companies can use pre, during, and post capital raise. Oscar Jofre: We want them to remember us for two things really. Our knowledgeability–we’re a young company, but we’ve worked hard to become thought leaders in equity crowdfunding and alternative finance, and we want the companies on KoreConX to benefit from what we know–and how easy we made it to bring everyone together around their company and set themselves up for success. We’re helping companies build better, stronger, and more transparent relationships with their shareholders. 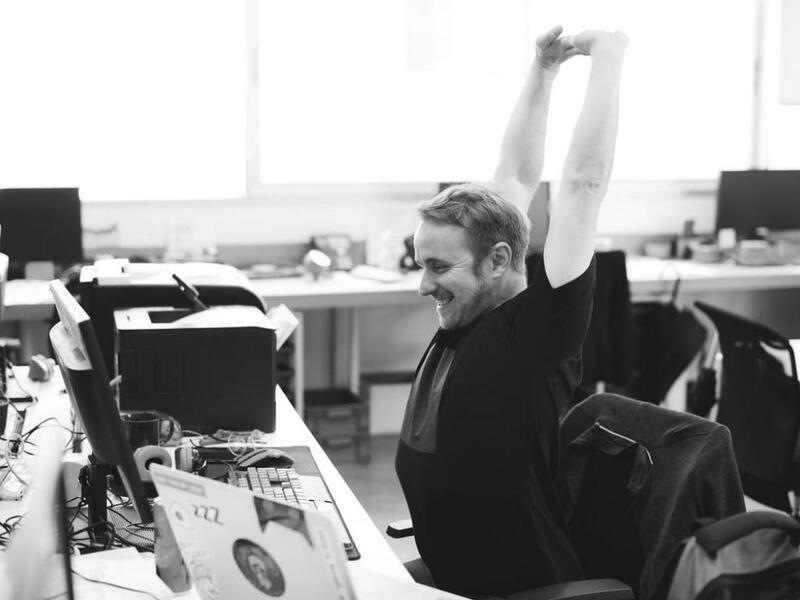 Benzinga: What drives you to get up every single day and work on your business? Oscar Jofre: I can’t help it, KoreConX is my baby. I’m always thinking about the business, the market, and all the things I plan for the company. Getting up in the morning is no problem, my biggest issue is getting to sleep at night. There is no such thing as a “work-life” divide for me. Benzinga: How do you help people make money? Oscar Jofre: We help companies access capital. That’s the very foundation of our business and our product. We partner with equity crowdfunding portals around the world as well as broker dealers, providing companies with the ability to manage the entire application and due diligence process through a single point of entry. Meaning that should the company get turned down by one portal, they don’t need to re-enter all that information to apply to the next. We also allow companies to manage and communicate with their shareholders post-raise, helping them create close relationships that ensure their shareholders will be their best customers and their biggest advocates. Benzinga: Do you offer investors any unique data points that can help their trading/investing decisions? Oscar Jofre: We don’t advise investors or offer data to the public on companies in our platform, but what we do offer them is a secure, centralized platform that they can use to manage all of their holdings in any company they’re involved in, and the assurance that these companies are reporting regularly, complying, and being completely transparent. We’re giving them peace of mind. Oscar Jofre: Being born global. We’re a small team of 23 people based out of Toronto, Peru, Indiana, and around the world, and we’re operating globally from the start. Our platform will be launching in Mandarin and Spanish in Q1 of 2016, and we’re working hard to stay in touch with big markets around the world. We’re lucky in a way because often business is business no matter where you are, and because so much of what we do is built on equity crowdfunding. I speak at events around the world and I’m able to bring together insights from leading markets around the world. Benzinga: What are you looking forward to most about the Benzinga Fintech Awards? Oscar Jofre: Meeting the other contestants. So many brilliant companies are in the running, and I’d love to learn more about them. Benzinga: How can users find and interact with your company? Oscar Jofre: We’re all over social media. People are free to connect with me on LinkedIn, Facebook, Twitter, etc, and send me any questions that they might have. They can also register here.